KexWorks | Are You Using These 10 Sure-Fire Tips for Finding Customers on LinkedIn? 10 Dec Are You Using These 10 Sure-Fire Tips for Finding Customers on LinkedIn? So, you’ve heard that LinkedIn has become one of the top social platforms, and that it’s perfect for finding new business opportunities. You have registered, added some connections – but somehow you are not really getting any new business there. You lose your enthusiasm and end up with a useless profile you hardly ever visit. Sound familiar? Many business owners don’t make the most of their LinkedIn presence. But the truth is if you know how to use the platform’s potential, it can become a powerful free tool for marketing your business and a great source of new customers. Here is a checklist of sure-fire tips you should follow to make LinkedIn really work for you. Use a professional-looking, quality photo. 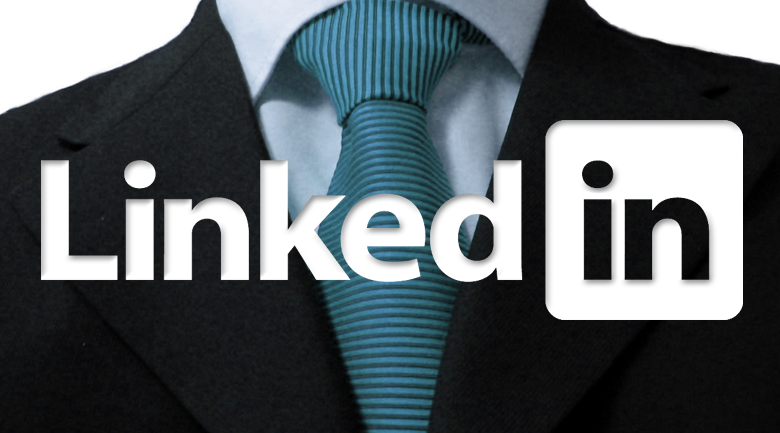 Think of your LinkedIn profile as a CV, potentially available to millions of people. You’ll want to use a photo of good quality and resolution, the one where you look professional and friendly. Your profile is a great chance to present your professional skills and achievements in the best possible light, so don’t miss on that chance by leaving it half-empty. Plus, a fully completed profile looks more credible and is easier to find by various criteria. Include links and visuals to your profile. LinkedIn now supports adding images, links, and files to your profile, so you can easily turn it into a portfolio. Make sure you use this opportunity to present your best work or direct people to your business website. If you want people to contact you after visiting your profile, let them know! You shouldn’t turn your profile into a sales pitch, but it is a good idea to write a persuasive introduction with a call to action. Optimize your profile for search. LinkedIn search works in a way similar to Google’s, so if you want your profile to be found, include the keywords your target customers might be using. Going back to tip #2, a fully completed profile gives you more opportunities to use the keywords you need. A common mistake is trying to get as many LinkedIn connections as possible. In this case, it’s the quality that matters, not the quantity. If you want to get new business from LinkedIn, identify who your target customers are and find them via search and in groups. These are the connections you want to add, because they might be interested in your offer. Start conversations with new connections. To turn a new connection into a new customer, you need to start conversations right away. Many users admit they add people as connections and just leave them be. Simply saying hello or thanking people for adding you back will help you start the relationship. Become an active groups member. Groups are where you can find both target customers and like-minded professionals for networking. Think of the groups where your target audience may be, join them, and start participating in discussions. Don’t spam with your business offers, though: instead, share interesting info and your opinions to establish an influential reputation in the group. This applies both to your groups and your own status updates. You can share content with all or some of your connections, so make sure you do it regularly and find information worth hearing. Create and promote your business page. A business page is better for presenting your business than a personal profile is, but the page won’t work without a well-developed profile. Once you have built up your profile and acquired a good list of connections, establish and promote your business page. Link to it from the website, invite your connections to follow, and fill it with great content – eventually, you will build a following. Does LinkedIn help you get more business? What are your own tips for using the platform effectively? Share them in the comments.